How can you create your own greeting card, while steering away from the all-too-familiar festive imagery? Here’s a look behind-the-scenes at the unique approach these designers took. The holiday season is a wonderful excuse for us to take our creativity to the limits and make our own greeting cards to share with friends and family. But breaking through the standard depictions of snowmen, Christmas trees and red-green-gold color palettes can be tough. Receiving a design brief that feels so mundane that we could practically do it in our sleep, is both a blessing and a challenge. When faced with the familiar terrain of creating greeting cards for the holiday season, these five designers took an original approach. If you’re looking for some greeting card ideas and inspiration, discover here how you can take it a step further, incorporating your own personal outlook and interests to the brief. David Bowie greeting card, by Avital Santo, Strahinja Janjusevic and Assaf Bezalel. As much as we love our computers, a little time away from the screen is always a good thing. Not only does it give you the chance to give your eyes a rest (and your hands a mini workout), but it can also result in surprisingly beautiful creations that wouldn’t have come about otherwise. 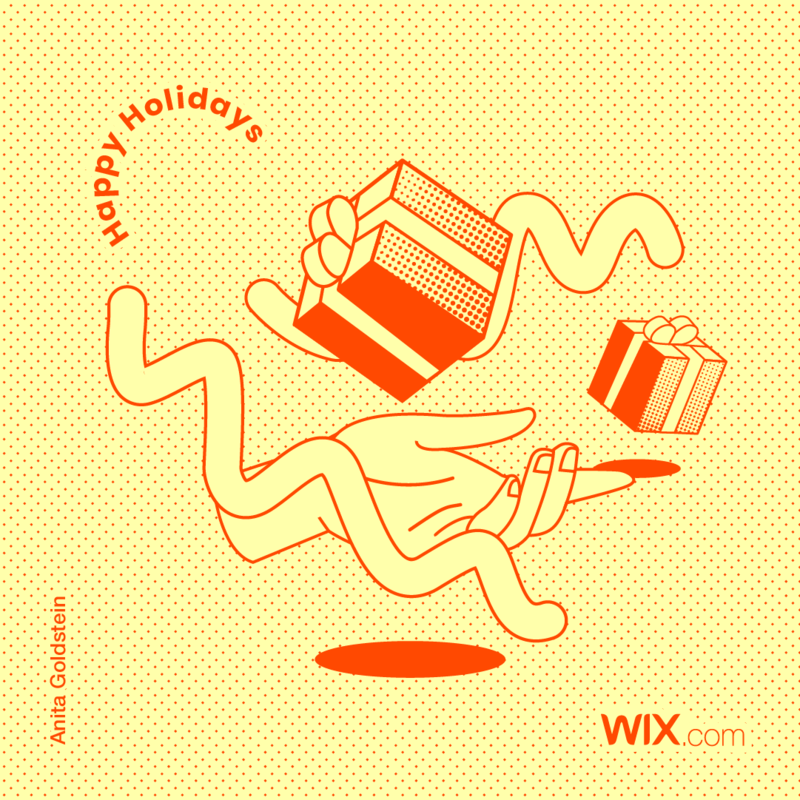 These three Wix designers discovered just that, when they joined forces and came up with the original greeting card idea above. For your own seasonal holiday card, explore how you can use the same technique and incorporate festive imagery and color palettes. Frida Kahlo greeting card, by Avital Santo, Strahinja Janjusevic and Assaf Bezalel. Inspired by the characters of Japanese graphic designer Ikko Tanaka, the designers – Avital Santo, Strahinja Janjusevic and Assaf Bezalel – looked for a way to add some depth and movement to the figures they’d create. “We needed a hook,” explains Strahinja. “Something that would make the concept more interesting than a simple collage or gimmick.” They eventually merged this idea with the idea of a diorama, to create 3D figures made up of layers of colored card. The paper prototype the team created for their Frida Kahlo greeting card. Firstly, they drew the pictures in Illustrator, to ensure a clean and accurate design. 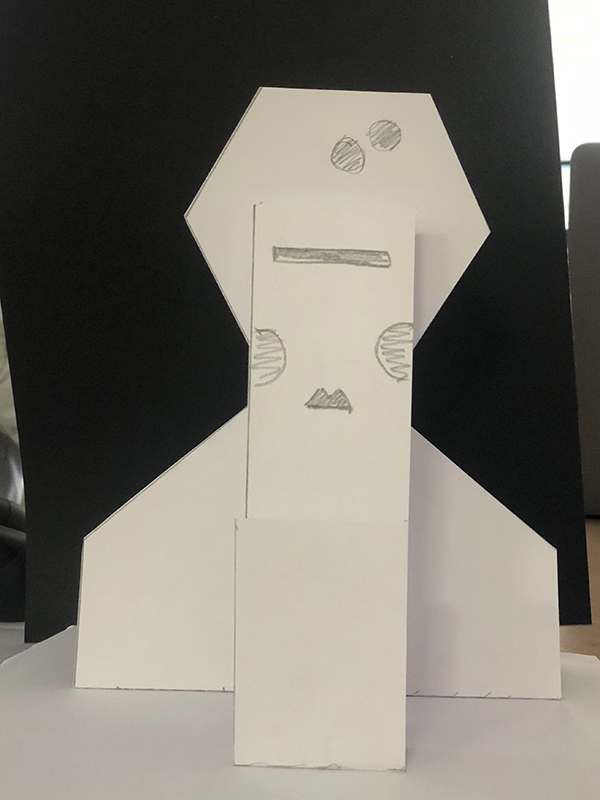 Next, they built prototypes out of basic paper, based on the blueprint they had created in Illustrator. 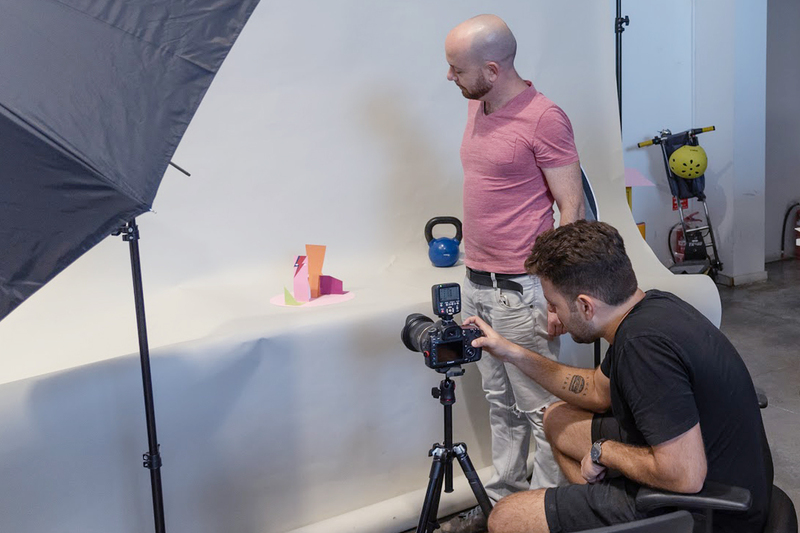 To perfectly photograph their design, they placed the camera at a distance and at eye level, to get the right perspective. They put a paper base beneath the figure, spinning it slightly for each photo. Lastly, they transferred the series of photos into Photoshop, to create the gif and add the text. The team photographing their piece. Fascinated by African culture and having explored many aspects of it in his illustrations, Or Yogev decided to focus his greeting card on the celebration of Kwanzaa. “It’s a relatively new holiday that was first celebrated in the ‘60s,” he explains. “It’s a lot less known than Christmas, so I really enjoyed shedding more light on it.It also gave me the opportunity to stick to my own illustration style.” For Or, illustration isn’t just about drawing beautiful things – it’s also about developing your own unique visual language and putting a spotlight on important issues, while constantly considering the crucial topic of inclusive illustration. Illustrated greeting card by Or Yogev. 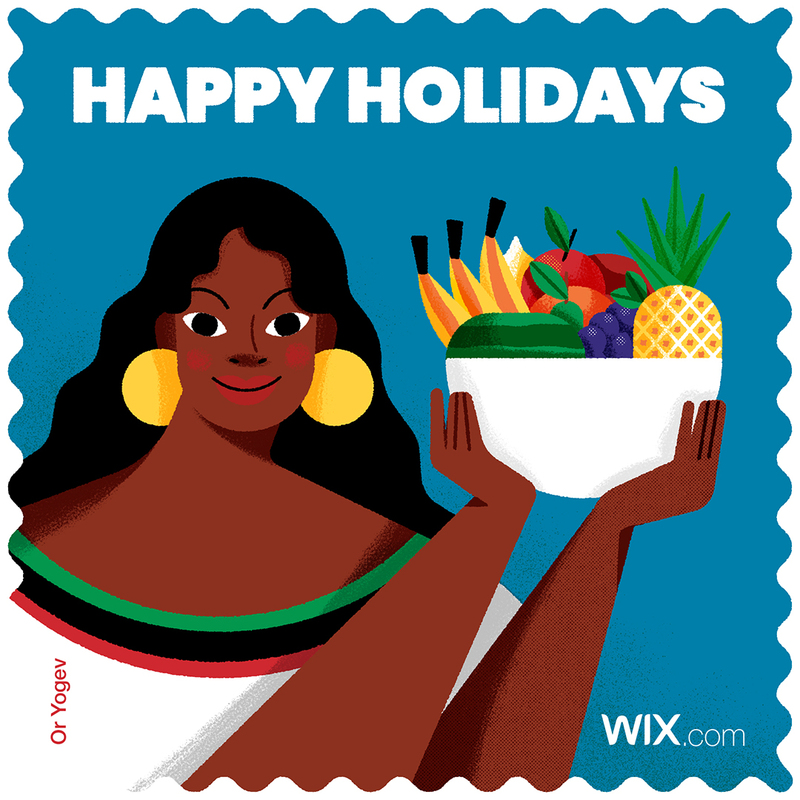 Taking inspiration from a stamp designed especially for Kwanzaa, by Synthia Saint James and Greg Breeding, Or kept aligned with the vibrant use of colors and the fruit imagery, that represents a Kwanzaa tradition of adorning the house with fresh fruits. He also incorporated red, black and green – the colors of the Black Liberation flag. The greeting card’s borders hint at the original stamp reference. Or used Adobe Illustrator to create the shapes, and then moved onto Photoshop to add the gentle grainy texture. He went for a simple composition, consisting of a big central element and a clean background, all the while keeping in mind that the end result had to be something pretty that people would be happy to give and receive. If you want to get going yourself and sharpen your skills, head over here for a full digital illustration guide. A look into Or Yogev’s illustration process. “As a designer, you have to create holiday cards for your clients every year,” says Anita Goldstein, the designer behind the piece below. “The visuals are very familiar and overused, but you don’t really have a choice other than to use them yet again. It’s always a tree, or a gift, and it’s a challenge to find a more original angle.” The solution? Either find new imagery that could be relevant for the holiday season, or use classic visuals and explore how to freshen them up, making them edgier and more interesting. Holiday greeting card by Anita Goldstein. Instead of depicting the classic festive scene of presents by a Christmas tree, Anita decided to use this same imagery, but offer a slightly different take on it. She focused on a specific phrase that would guide the design – ‘giving is receiving’. The open palm symbolises providing, as well as receiving. She went for a single hand, instead of a more typical image of two hands extending towards the viewer. The gifts, that seem to have magically appeared out of the hand, add a mystical sensation and also ensure that the message and context is clearly and immediately understood. Want a drop more inspiration before you get going? These designer-made greeting cards will spark your imagination and set you on the right track to creating your own striking designs.